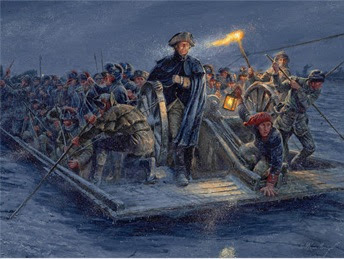 The New-York Historical Society is displaying Mort Kunstler’s &#8220Washington’s Crossing at McKonkey’s Ferry&#8221 until January 17, 2012. 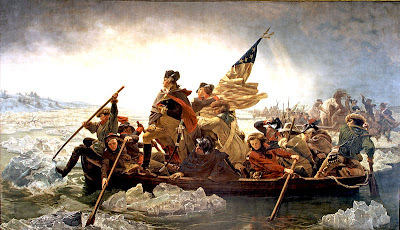 Emanuel Leutze’s 1851 painting &#8220Washington Crossing the Delaware&#8221 commemorates General George Washington’s crossing of the Delaware River on December 25 in 1776 during the American Revolutionary War. 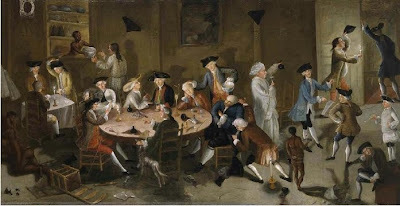 His original painting is part of the permanent collection at the Metropolitan Museum of Art. Mort Kunstler, a New York artist known for his historical paintings, has created what he considers a more historically accurate version of Washington crossing the Delaware River. The painting was unveiled at the New-York Historical Society on Monday, December 26, the date in 1776 that Washington led his troops into battle in Trenton after crossing the Delaware. The original painting shows the Betsy Ross flag flying, however that flag was not adopted until 1777- Mr. Kunstler’s version has no flag. The original painting depicts the action taking place in the middle of the day, though the actual crossing took place during a stormy night. Based on historical research, the new painting shows Washington and company in a flat-bottomed ferry boat rather than on a row boat. In any event, you’ll have just one day to compare the two paintings first hand. The newly restored Luetze painting will be unveiled in a new frame in the New American Wing Galleries for Paintings, Sculpture and Decorative Arts at the Metropolitan Museum on January 16, the day before the new Kunstler painting comes down at the New-York Historical Society. Illustrations: Above, Mort Kunstler’s &#8220Washington’s Crossing at McKonkey’s Ferry&#8221- below, Emanuel Leutze’s 1851 &#8220Washington Crossing the Delaware&#8221.